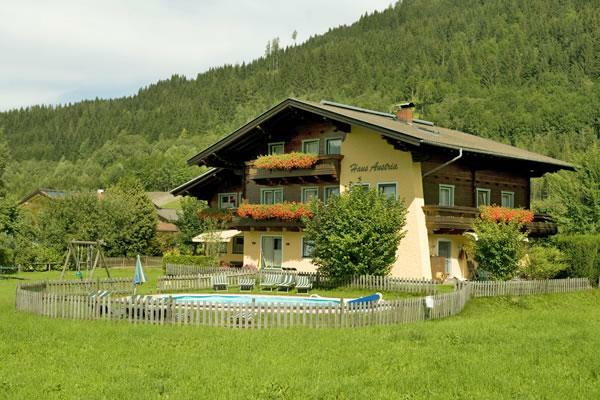 Austria: Apartment in Flachau, Austria. Book now! Austria Apartments in Flachau are a very good choice for a winter holiday in the Salzburger Sportwelt region. 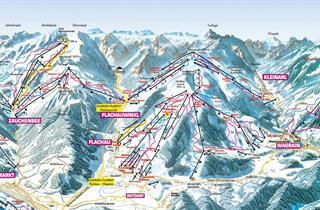 The house lies less than 600 meters (7 minute walk) from the "Star Jet" ski lift, and a ski school. 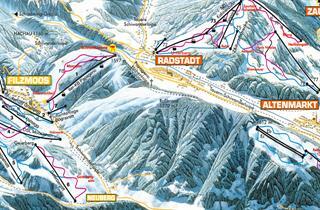 The "Star Jet" ski lift provides access to the entire Flachau-Wagrain ski region. The cottage is located approx. 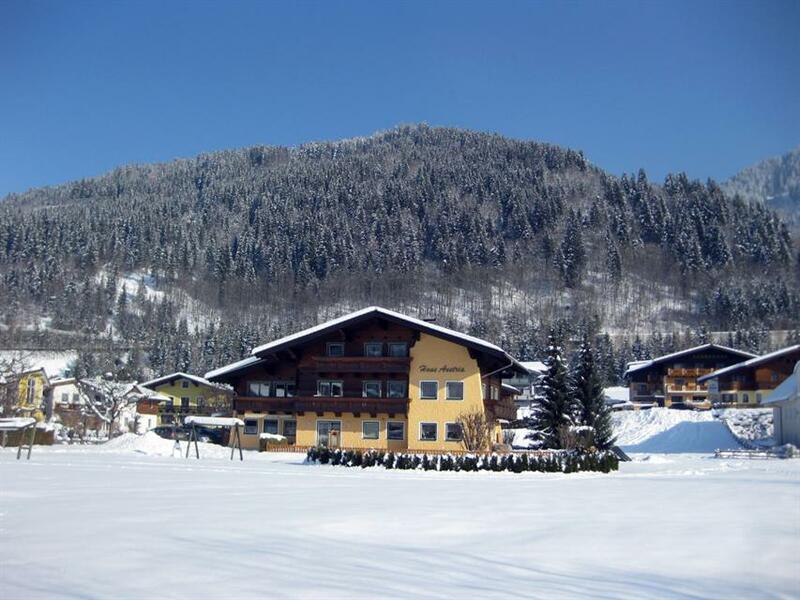 100 meters from the main street in Flachau, ensuring peace, safety and security of the youngest in summer and winter. 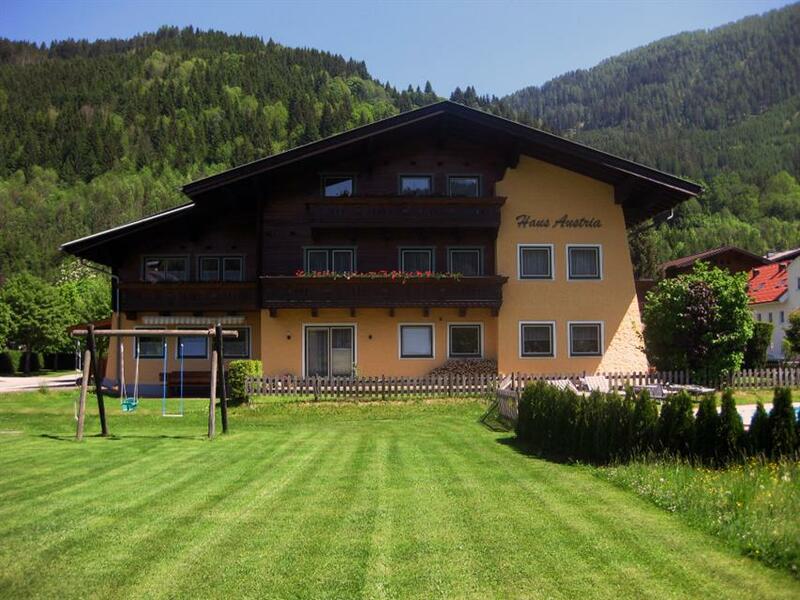 Austria House offers three comfortably furnished apartments. 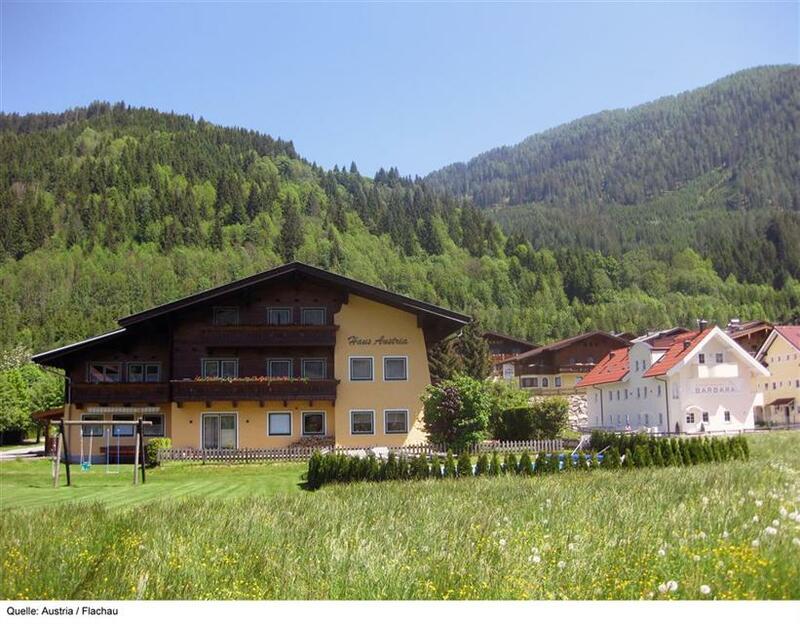 All have a balcony with a good view of the surrounding mountains and the bathrooms are renovated. The apartments have a fully equipped kitchen and Internet access. Bath towels, bed linen, kitchen towels and tablecloths are also included. The hotel has a room with a table tennis table and sofas. The ski room is heated. Guests can park their cars in the parking area belonging to the facility. Summer terrace. All rooms for non smokers. Summer Card. Ski boot room. Local tax. Final cleaning. Electricity costs. Towels (to bring along). Bardzo dobrze wyposażony i położony pensjonat(wszędzie ski bus, wyciąg , sklep blisko. Easy to find, positioned in a good location, cleean and tidy, all good!. 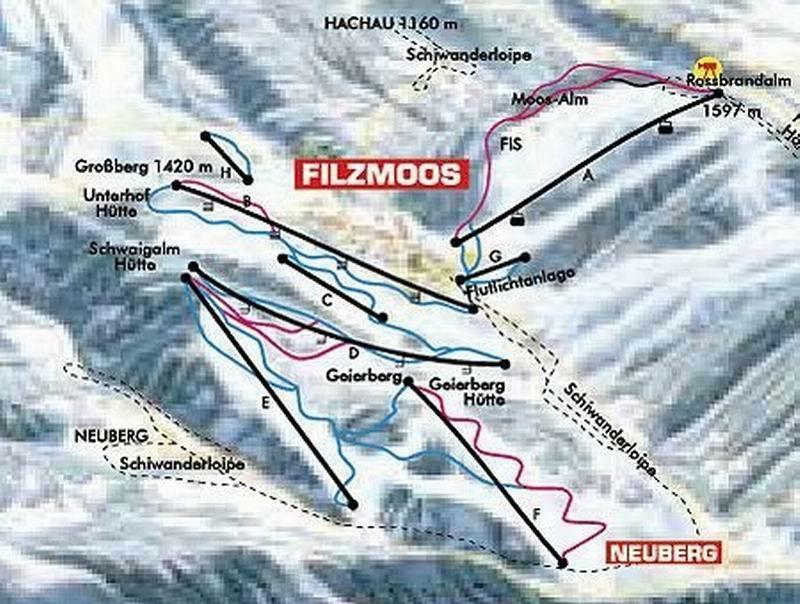 This only suggestion for improvement would be individual lockers in the ski room to increase security of personal posesssions. Why the electricity payment ? 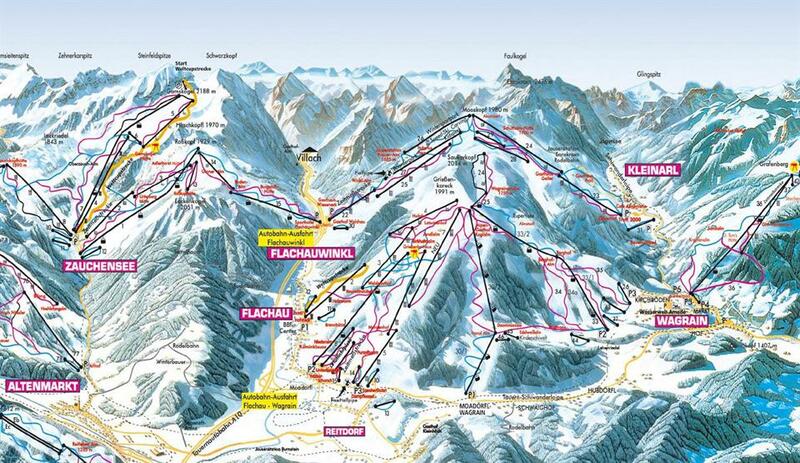 Ease of access to the ski area better than expected. No language difficulties.